In responding to a parliamentary question of HDB flat purchase cancellation, the Minister for National Development said financial forfeiture for cancellation are necessary to ensure that flat applicants are committed to their purchase. “The financial forfeiture for cancellation ensures that flat applicants are committed to their purchase. This is necessary as HDB sets aside flats for successful applicants, and has to turn away other applicants as a result. The forfeiture also covers the holding and administrative costs incurred by HDB as a result of the flat cancellation. Flat buyers who cancel their application after signing the Agreement For Lease but before key collection will receive a partial refund of the downpayment made for the flat, if the downpayment was more than 5% of the flat price. As for flat buyers who return their flat to HDB after they have collected their keys, they may receive substantial compensation of up to 95% of the flat price. In cases where the cancellation of the flat purchase is due to a change in family nucleus, for instance due to divorce, HDB can allow one of the parties to retain the flat by including another eligible person into their flat application, subject to the outgoing party’s consent. There is no financial forfeiture involved for such cases. Applicants who request for HDB flat purchase cancellation after signing the Sales Agreement, have to sign a declaration that they fully understand and agree that henceforth they will have no further claim to the said flat. The declaration compels the applicants to acknowledge that their HDB flat purchase cancellation will incur a forfeiture of a sum equivalent to FIVE percent (5%) of the purchase price and that it will be imposed. The applicants of the HDB flat purchase cancellation request have to agree that consequent to rejection of the flat, HDB has the right to recover the Additional Housing Grant (with interest) from them. Any stamp duty which was paid prior to the HDB flat purchase cancellation would probably have been expended and paid to Inland Revenue Authority of Singapore (IRAS). But still HDB will assist those that apply for HDB flat purchase cancellation apply to IRAS for a refund of the stamp duty paid. The applicants have to fill in the Application Form for Refund and authorize the HDB to apply to IRAS on their behalf. Any conveyancing fee paid prior to the HDB flat purchase cancellation is expended for the conveyancing services provided by HDB. For HDB flat purchase cancellation submitted from March 2012 onwards, HDB flat purchase cancellation applicants have to agree that after their rejection of the flat, the HDB shall cancel their sales application and impose a one-year debarment on them and all the essential members in their application. to take over an existing subsidised flat by way of an outright transfer. Applicants of HDB flat purchase cancellation have to state the reason for their rejection of the flat and authorise HDB to waive the 21 days notification period for cancellation with immediate effect. An HDB flat purchase cancellation can potentially set one back by $10,000 to $30,000. One can potentially also incur penalties from cancelling any mortgage taken from their banks. Cancellation fees can be a % of their mortgage amount. Assuming a 80% loan, and a 1.5% cancellation fee, this can incur another $2,400 to $4,800 monetary loss for the applicant. 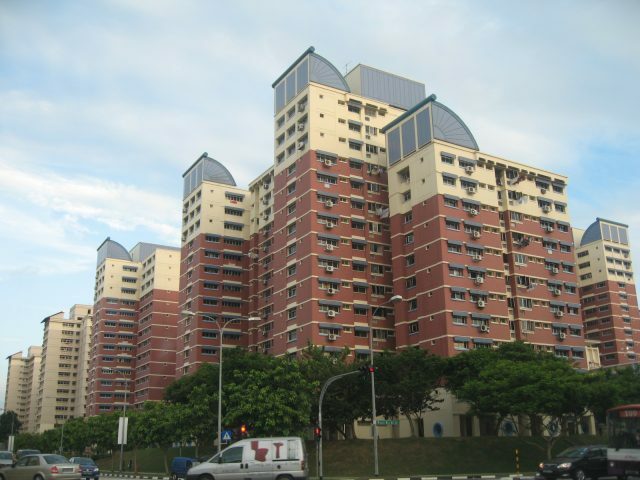 The post Financial forfeiture for HDB flat purchase cancellation is necessary, MND Minister appeared first on iCompareLoan Resources.